In today’s hospitality design world, we are doing more and more placemaking to meet the needs of both out-of-town guests and locals. Placemaking is defined as a multi-faceted approach to the planning, design and management of spaces. This involves catering our hotel designs to the local community’s resources, potential and inspiration with the goal of creating spaces that promote well-being, health and happiness. Nearly all recent and current Group One projects, whether independent hotels, soft-branded or fully branded hotels, have implemented some level of placemaking. 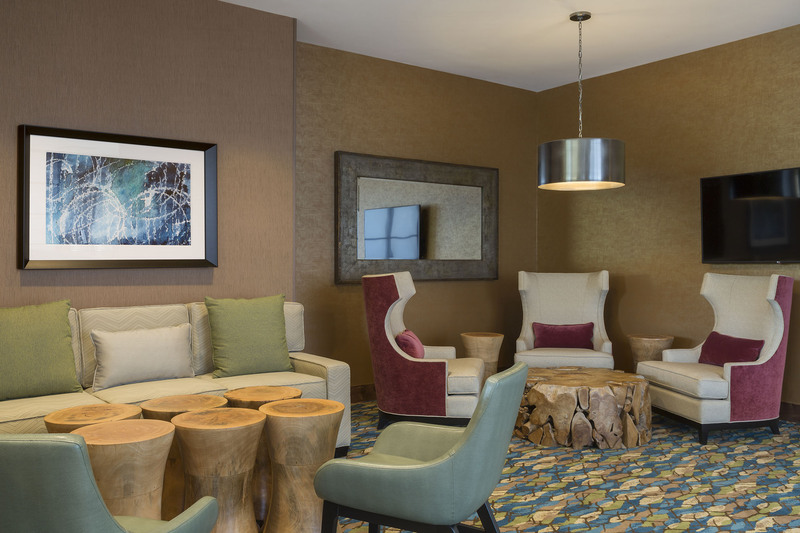 This includes using specialized artwork to reflect the environment of the surrounding neighborhood, designing public spaces that embody the needs of guests and residents and creating guestrooms that serve the desires of business travelers and other visitors. We're proud to be recognized by Marriott Hotels as a recipient of their 2017 Design Excellence Award. Check out our press release to learn a little bit more.